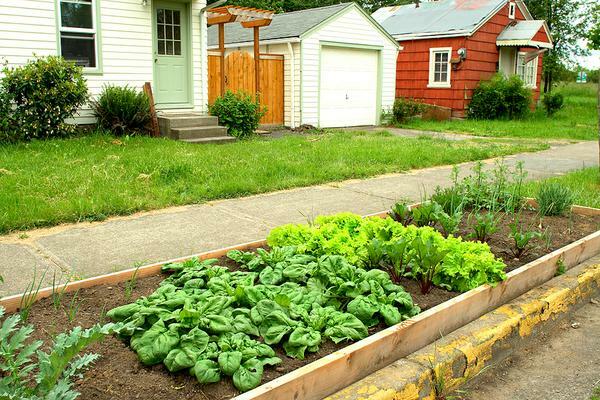 Gardening in urban areas is increasingly popular in North Carolina. Growing food locally (which requires less energy for packaging, transit, and storage), connecting to nature at your doorstep, engaging children in agriculture, and controlling the amount and types of pesticides and fertilizers applied to your food are among the many wonderful reasons to garden in the city. But urban gardening poses potential risks. 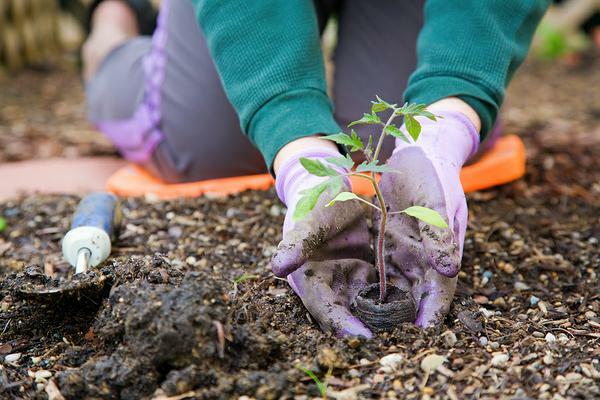 Before planting, city gardeners must evaluate how a prospective site was previously used, to identify potential safety hazards—including chemical contaminants—in the soil. This publication alerts prospective gardeners to some of the most common contaminants in urban soils, such as lead and other toxic metals, solvents, pesticides, and total petroleum hydrocarbons. Readers will learn how to minimize potential risks to gardeners and to those who consume garden produce. The document includes information regarding site characterization, common contaminants, soil testing, interpretation of results, and strategies for reducing exposure risks. To ensure quality site assessment and analyses, it may be necessary to engage trained professionals. Links to certified professional soil scientists, environmental consultants, and laboratories are provided. Specific exposure routes to contaminants in soils vary based on the particular contaminant, site characteristics, and management practices. They love playing in the dirt. When they put fingers, sticks, or even soil in their mouths, they directly consume more soil contaminants. Being closer to the ground means they inhale more dust and volatile compounds in the soil. Their bodies are rapidly growing and developing, so they have lower tolerances for many contaminants. 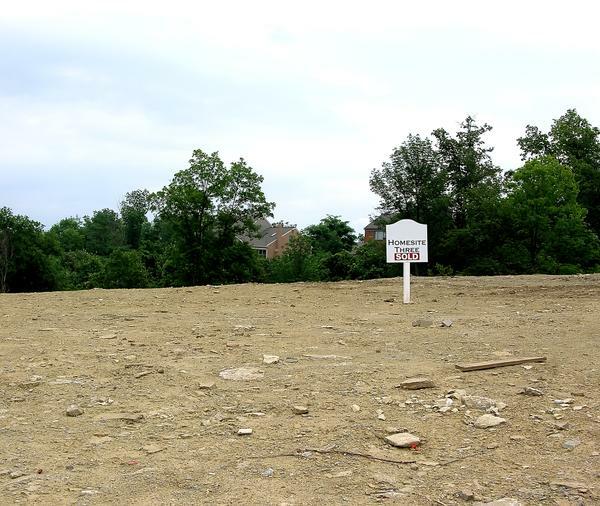 Take a careful look at the history of land use before selecting a site to garden. Evaluate not only the actual plot to be developed but the surrounding lots as well. Start with city records available online or at city hall. They will help you identify the property class, zoning information, and current and previous owners. Long-time neighbors can be valuable sources of information. If the history is questionable, check with local and state agencies to see if an environmental evaluation has been conducted or if the property is listed in the NC Department of Environment and Natural Resources Division of Waste Management Brownfields Program Map Viewer. Sites of special concern include those currently or formerly associated with land uses as described below and in Table 1. Manufacturing and industrial sites, abandoned railroad lots, dry cleaners, and gas stations may have risks associated with chemical storage, leakage, and discharge into the environment. Landfills, junkyards, and waste disposal sites may have inorganic and organic contaminants that have leached into soils. Highway corridors, parking lots, or heavily trafficked areas are commonly associated with high lead levels from vehicle emissions. Household sites may have substantial lead deposits from older paints and plumbing fixtures. Former farmland may have built-up concentrations of inorganic and organic contaminants from fertilizers and pesticides due to excessive application or spills in storage and mixing areas. Otherwise, cropland acreage is generally immediately suitable for gardening applications. 1 Different metals are likely to result from specific activities or sources, i.e. paint, galvanized metal, pesticides, wood preservatives, etc. Inorganic pollutants like nitrates and trace elements are naturally found in the environment, but in urban areas they may be concentrated to unsafe levels. Examples include arsenic, barium, cadmium, chromium, lead, mercury, and zinc. 2 Organic pollutants, including petroleum hydrocarbons, pesticides, solvents, and pharmaceuticals are likely to result from specific activities or sources, i.e. fuel storage, cleaning fluids, etc. 3 Crop fields generally have few limitations, but storage, loading, and mixing areas may have problems similar to non-agricultural industrial sites and storage or parking lots. Some older fields and orchards may have been treated with arsenic pesticides. 4 Check how long the lot has been vacant, what its prior uses were, and what has been stored there (for example, road salts). Note: Sites are highly variable and need to be evaluated on an individual basis. A thorough site analysis is required to determine appropriate soil sampling positions, depths, methods, and analytical needs. Documenting the actual site contaminant levels requires appropriate soil sampling, laboratory analysis, and data interpretation. It may be difficult to adequately characterize a site without hiring a consultant to direct the process. Sources for certified professional consultants who can help assess soil contaminant levels are provided at the end of this document. Tables 1 and 2 will help you select the appropriate laboratory analyses by identifying which contaminants may be present in the soil and thus which tests are needed. If there are no contaminant issues and soil sampling is for routine liming and soil fertility assessment only, North Carolina soil samples can be submitted to the NCDA&CS Agronomic Division laboratory for analysis and recommendations. This routine analysis includes copper and zinc, as they are also plant nutrients. The lab is capable of analyzing for other heavy metals but provides this service only to state-regulated sites. If inorganic contaminants are suspected, a typical analysis may also determine the levels of lead, zinc, mercury, cadmium, arsenic, barium, chromium, and selenium. If organic contaminants are suspected, analyses could determine levels of total petroleum hydrocarbons (TPH)—particularly polycyclic aromatic hydrocarbons (PAH)—solvents such as trichloroethylene and perchloroethylene (TCE, PCE/ PERC), pesticides (e.g. atrazine, carbaryl), dioxin, and bisphenol A (BPA). Select and contact a soils lab ahead of time to identify fees and get specific directions on how samples should be collected and submitted. See the link to North Carolina Soils Labs at the end of this publication. 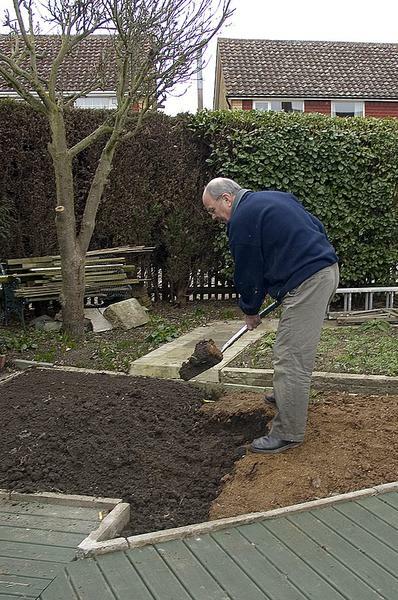 For general directions on how to collect a soil sample, see A Gardener’s Guide to Soil Testing. 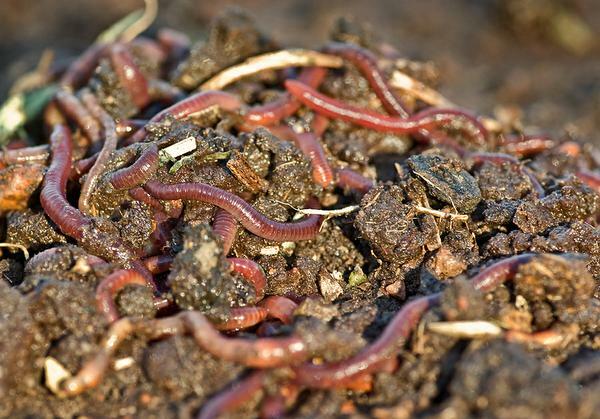 Some contaminants occur naturally in the soil, while others are introduced by humans. The trace elements most frequently found at unsafe levels in urban soils are lead, arsenic, cadmium, chromium, barium, and mercury. PAHs are the biggest concern among organic contaminants. Human activity in urban centers tends to increase the levels of contaminants in the soil. In addition, metals introduced by humans tend to be more readily available and easily absorbed into living systems. At low levels, contaminants may pose no known health risk, but higher levels may lead to acute or chronic health problems. The level considered safe varies by contaminant and by site characteristics. Additionally, individual contaminants may be present in a variety of chemical forms or species, each of which may constitute a different level of risk. A qualified consultant may be useful in determining acceptable levels for a specific site. Laboratory reports can be read and interpreted by comparing with published US EPA and North Carolina Department of Environment and Natural Resources guidelines in Tables 3a and 3b. It must be verified that the laboratory is using EPA guidelines or a specific method and type of analysis (extraction) for comparison with published levels. Note: Only select contaminant elements are included. Selection of contaminants for testing should be determined based on site history. It is likely that all contaminants listed in Tables 3a and 3b need not be analyzed, but it is also possible that additional contaminants not included here should be investigated. 1 Sparks, DL. 2003. Environmental Soil Chemistry. Academic Press, San Diego, CA. 2 NC Department of Environmental Quality Inactive Hazardous Sites Branch and Soil Remediation Goals (SRG) Table. 3 Soil remediation goal dependent on species or form of contaminant. Polycyclic Aromatic Hydrocarbons (PAH) .0018-34002 Vehicle emissions; coal tars; asphalt; fires and lightning The most common contaminants. Used to produce plastics, pesticides, and a myriad of other consumer products. Highest concentrations near roadways. Note: Only select contaminants are included. Selection of contaminants for testing should be determined based on site history. It is likely that all contaminants listed in Tables 3a and 3b need not be analyzed, but it is also possible that additional contaminants not included here should be investigated. 1 NC Department of Environmental Quality Inactive Hazardous Sites Branch Soil Remediation Goals (SRG) Table. 2 Soil remediation goal dependent on species or form of containment. 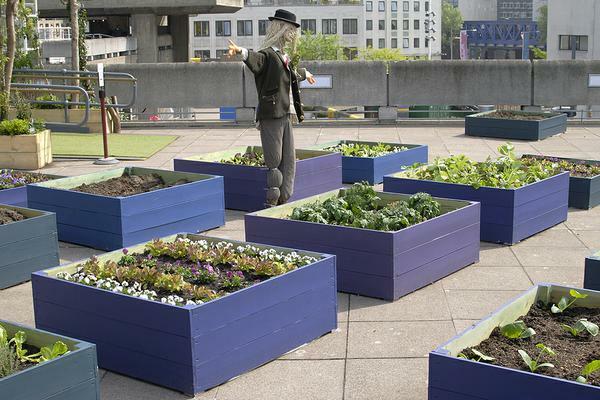 If your analysis reports levels lower than those in Tables 3a and 3b, gardening at that site presents minimal risks. If your soil’s levels exceed those in the chart, you should either choose a different site or take precautions to protect gardeners, neighbors, and those who consume produce from the garden. If you decide to garden on the site, use some of the strategies in Table 4 to minimize physical contact with contaminated soil and plant uptake of contaminants. These strategies will help prevent toxins from being absorbed through the skin, breathed in as dust, or consumed. 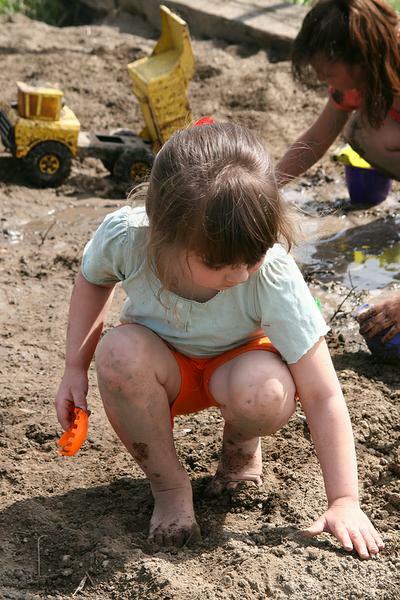 Lead is the most common contaminant in urban soils, and intake of contaminated soil—through direct ingestion, dust inhalation, or exposure to soil clinging to produce—may pose a serious health risk. Young children and pregnant women are at the greatest risk from lead contamination, as high lead exposure may result in behavioral and learning disabilities. Lead may be derived from a number of pervasive sources, including gasoline emissions, paint chips from older buildings, plumbing pipes, and industrial processes. Lead accumulates where it is deposited and is not easily removed from soil. Soil testing for lead is essential prior to gardening in an urban setting, and if high levels are found, steps must be taken to minimize lead exposure and prevent health risks. Table 4. Strategies for reducing risk of exposure to soil contaminants. Wear gloves and wash your hands well after working in the garden. Remove shoes outside to avoid tracking soil into the house. Prevent children from ingesting soil. 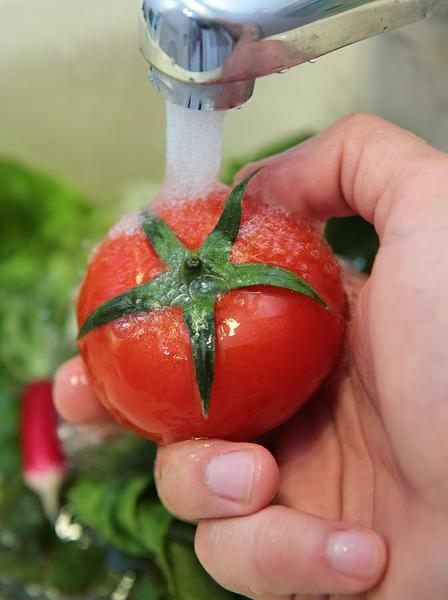 Remove outer leaves of leafy crops, and wash all produce with a mild detergent to remove dirt and dust. Conduct plant tissue testing to assess the level of contaminants actually in the produce. If the contamination is limited to part of the garden, consider modifying the layout to avoid areas with excessive contaminants. Plant those areas with perennial ornamentals to minimize soil disturbance. When possible, locate gardens away from buildings and heavily traveled roads. Install raised beds with imported healthy soil. Be sure to allow drainage, but seal off the bottom of the bed so that roots do not penetrate contaminated soil. The edible parts of root crops (carrot, potato, beet, onion) are in direct contact with the soil, so avoid planting these in riskier sites. Peeling reduces some risk. Shoot and leaf crops (celery, lettuce, broccoli, cabbage) represent an intermediate level of risk. 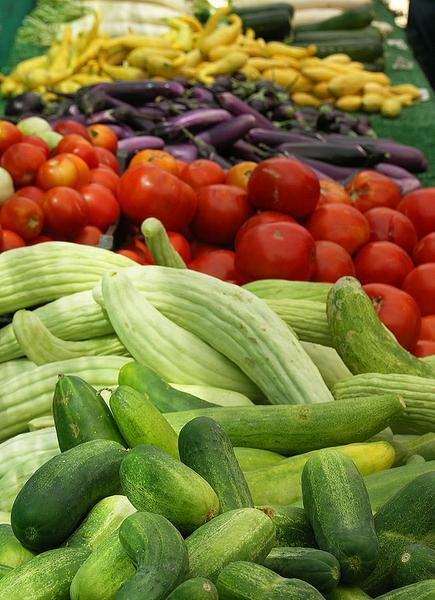 Fruit-bearing crops (tomato, cucumber, bean, pea) will have lower contaminant concentrations. Apply lime based on soil-test recommendations to avoid excess acidity. Some contaminants move more readily into the plant when the pH is low. Organic matter often binds and renders some contaminants unavailable for plant uptake. Amending soils with good-quality compost may help lower the risk of some contaminants and improve overall soil fertility and physical properties. If necessary, soil may be decontaminated by physical (excavation, washing, vapor extraction) or biochemical (microbial degradation, phytoremediation) techniques. Consult a professional to determine the optimal remediation strategy appropriate to your site. Inclusion here does not imply endorsement of any specific service or suggest that alternatives not mentioned are unsuitable. Your local N.C. Cooperative Extension center is a valuable source of information on lawn and garden care. US EPA Soil Screening Guidance: User’s Guide. 1996, Publication 9355.4-23. See p. 67 diagram for exposure pathways. Folstad, J., S.C. Long and D. Soldat. 2011. 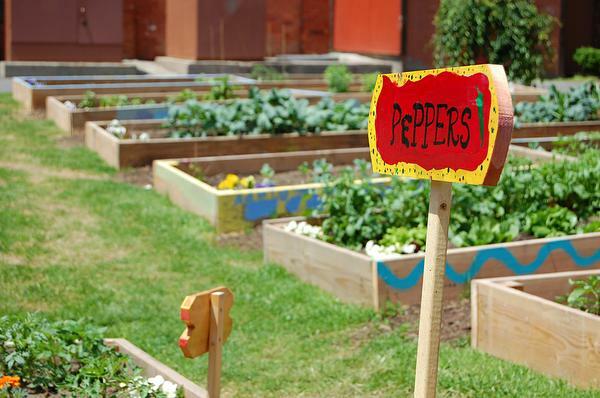 Soil contaminants in community gardens. Univ. of Wisconsin, Publication A 3905-03. Gasana, J. and A. Chamorro. 2002. “Environmental lead contamination in Miami inner-city area.” Journal of Exposure Analysis and Environmental Epidemiology 12, 265-272. Heinegg, A., P. Maragos, E. Mason, J. Rabinowicz, G. Straccini, and H. Walsh. 2000. “Soil contamination and urban agriculture: A practical guide to soil contamination issues for individuals and groups.” Quebec, Canada: McGill University, McGill School of Environment. Accessed September 1, 2009. Peterson, J., M. MacDonell, L. Haroum, F. Monette, R. D. Hildebrand and A. Taboas. 2007. Radiological and Chemical Fact Sheets to Support Health Risk Analyses for Contaminated Areas. Argonne National Laboratory Environmental Science Division and the US Department of Energy. Rosen, C. J. 2002. Lead in the Home Garden and Urban Soil Environment. WW-02543. University of Minnesota Extension. Shayler, H., M. McBride and E. Harrison. 2009. Soil Contaminants and Best Practices for Healthy Gardens. Cornell Waste Management Institute. Shayler, H., M. McBride and E. Harrison. 2009. Sources and Impacts of Contaminants in Soils. Cornell Waste Management Institute. Stilwell, D. E., T. M. Rathier, C. L. Musante and J. F. Ranciato. 2008. “Lead and Other Heavy Metals in Community Garden Soils in Connecticut.” Bulletin 1019. New Haven, CT: The Connecticut Agricultural Experiment Station. Traunfeld, J. H. and D. L. Clement. 2001. "Lead in Garden Soils." Maryland Cooperative Extension Home & Garden Mimeo # HG18. Turner, A. H. “Practice Guide #25—Urban Agriculture & Soil Contamination: An Introduction to Urban Gardening.” Louisville, KY: Center for Environmental Policy Management, University of Louisville.